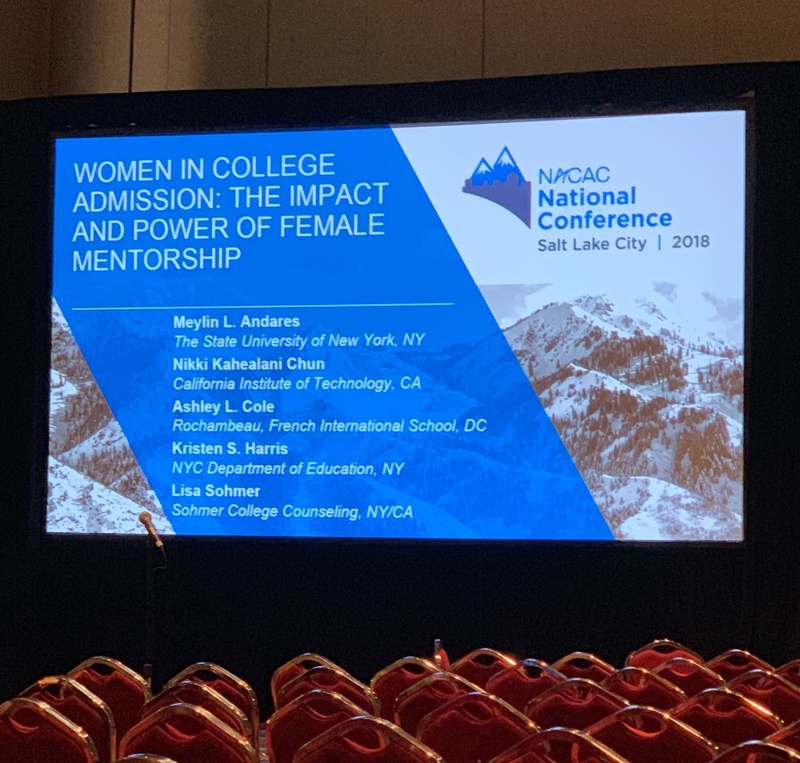 Looking back on #NACAC18, Women in College Admission was an inspiring presentation done in an informal and conversational format, where speakers introduced personal and professional connections that played an important role in their lives as mentors. Participants talked about who supported them throughout their lives and career development (i.e. mothers, friends, and colleagues). They shared their perspectives on behaviors that many women exhibit in the workplace, especially in the admissions department, where the pace is intense (24/7, travel, small teams, and a lot of work). Each reflected upon seeing female colleagues (and themselves) consistently take on more and more work, despite having an already overflowing plate. They reflected upon women saying "sorry" for everything, others feeling not heard or disrespected and doing nothing because either they see themselves as young, unimportant, or underrepresented in gender or race. Don’t let others talk to you in a disrespectful way, react if you feel that way! You have an opinion, we all have one. Speak out! It doesn’t matter your age, title, experience, gender or color. Your addition to the conversation is valuable, always. Everyone deserves to be treated equally and respectfully. Take care of yourself. We all multi-task every day, and work is just one part of your life. The speakers also pointed to the overarching imbalance in male/female leadership in higher ed. They reiterated the value of a stronger balance between genders. Women are strong, determined and have the skills to succeed as leaders – interpersonal skills, emotional intelligence, the ability to multi-task and serve as great mentors. Women have, and should have, a seat at the leadership table. The speakers told stories about the "women on fire" that they have met throughout their careers. Amazing young women who just needed a little support, a nudge in the right direction from a mentor – a role they were proud to fill. They highlighted the importance of female mentorship and support, noting that mentors don’t need to be the most experienced person in the room, or even be older than you. It could be anyone whose skills and style (professional or personal) will add value to you: someone that will help you be calmer or more centered; someone who will challenge you to see the next opportunity and motivate you to take the next step. We are humbled to say that one of the female leaders we admire most was a keynote speaker at our 2018 Student Recruitment Bootcamp – Dr. Philomena Mantella, Senior Vice President & CEO of Northeastern University’s Lifelong Learning Network. To recognize her contributions to the field and to share her powerful perspectives, this week we decided to pull our 2014 podcast with Dr. Mantella from the Intead Plus library and share it with you, our dedicated readers. 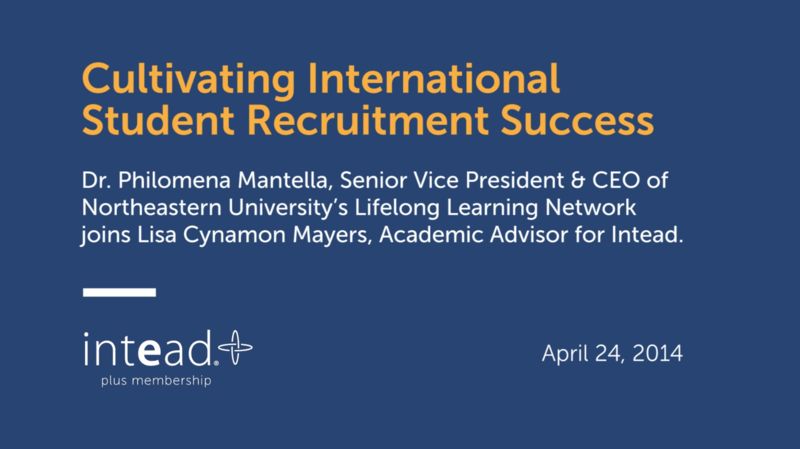 Hear from Dr. Mantella about Northeastern’s incredible success in the international student recruitment space. Although it didn’t happen overnight, Northeastern’s thoughtful approach to international student recruitment has allowed it to become an enviable institution in a relatively short period of time. Dr. Mantella explains the keys to Northeastern’s success. She leads and mentors others. We hope you find energy and inspiration in her words – we certainly do! Another incredible woman who brings a smile to our face every time we speak is Jessica Sandberg, Dean of Enrollment Management at Duke Kunshan University. You may know her better as the driving force behind the #YouAreWelcomeHere campaign. Jessica's tireless work to get the campaign off the ground has been an inspiration to us all and has resulted in the foundation of a scholarship program that will help international students access US higher education in the Fall 2019 semester. 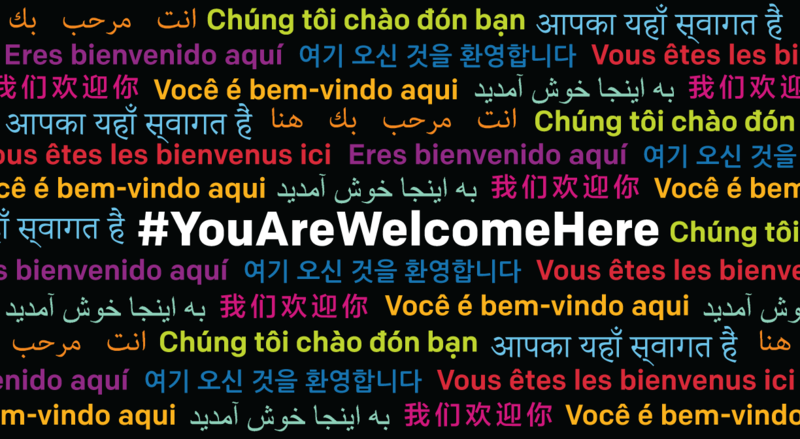 From the website: Beginning in Fall 2019, participating colleges and universities will each offer two annual, renewable scholarships that cover a minimum of 50% tuition to selected international undergraduates dedicated to furthering the #YouAreWelcomeHere message by bridging intercultural divides. 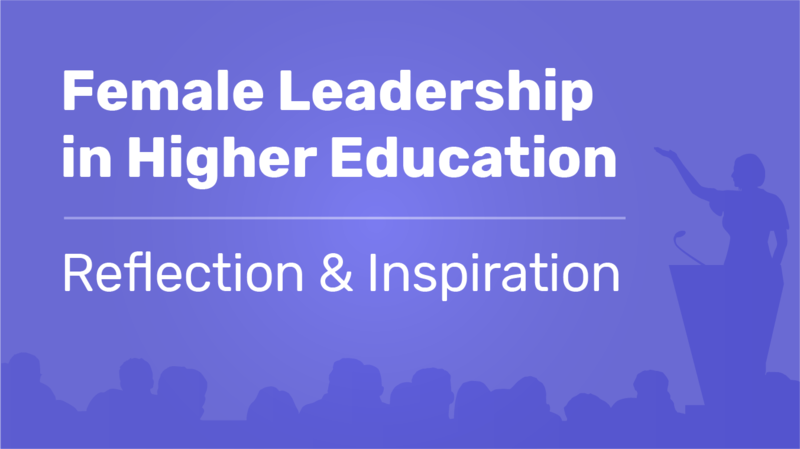 In short, ladies, higher ed needs your voice – your intelligence, your kindness, your strength. Take care of yourself – and persist.